The Skinny on Potatoes | Cook It Quick! I’m not sure if I would share MY potato! There are just 110 calories in one medium-size potato. 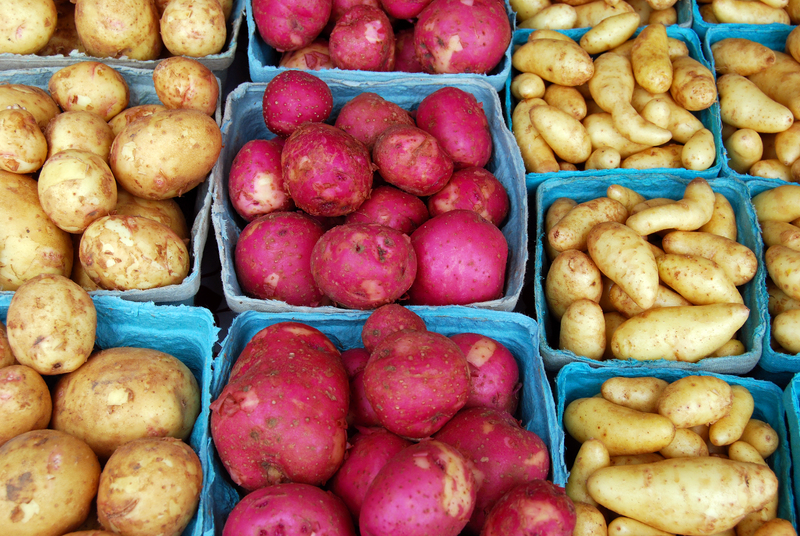 Potatoes are fat-, sodium- and cholesterol-free. They’re also a good source of potassium. One of my favorite low-calorie — but packed with nutrition and taste — ways to top potatoes is with Greek yogurt and a sprinkling of fresh parsley or chives. 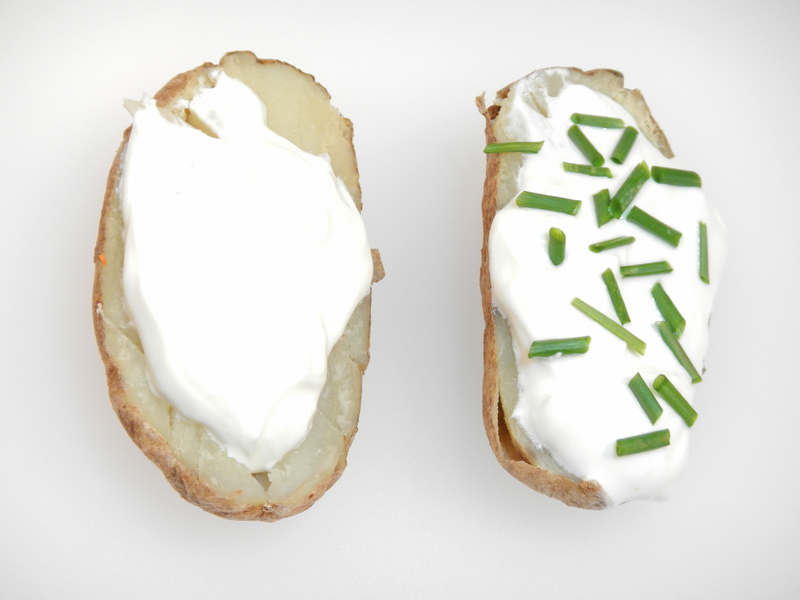 Topping baked potatoes with Greek yogurt and a sprinkling of fresh chives or parsley, adds nutrition, a pop of color and flavor, and few calories. Here’s my adaptation of one of our favorite potato recipes for “Roasted Potatoes, Tomatoes & Onions.” My husband and I enjoyed this while traveling in Sicily. It’s so easy to make! And tastes delicious. 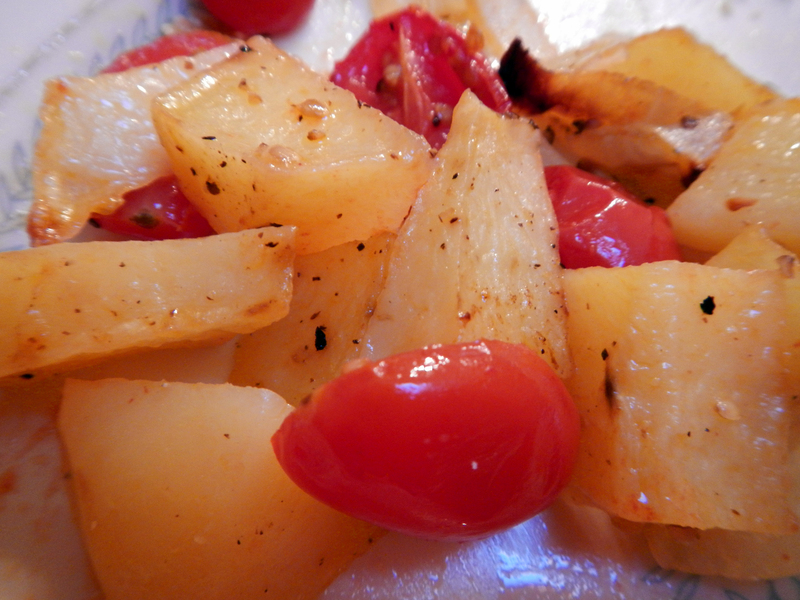 “Roasted Potatoes, Tomatoes & Onions” are so easy to prepare and taste delicious. Use amounts of the following ingredients according to personal preference. Limit to an amount that will fit in a single layer on a baking sheet with sides. Combine ingredients in a bowl and coat with a small amount of olive oil. Roast about 35 to 45 minutes in a single layer on a baking sheet with sides, until potatoes are slightly browned and fork tender. Another favorite is this recipe for “Cheesy Broccoli Baked Potatoes” from the US Potato Board. The only fat in the recipe is in the cheese. No additional fat is used in making the sauce. The only fat in “Cheesy Broccoli Baked Potatoes” is from the cheese. Heat 3/4 cup of the milk in a small saucepan over medium heat until steaming, about 4 minutes. Stir together flour and the remaining 1/4 cup milk in a cup until smooth. Add to the hot milk, stirring constantly until the mixture boils and thickens. Remove from heat and stir in cheese. Season with salt and cayenne. 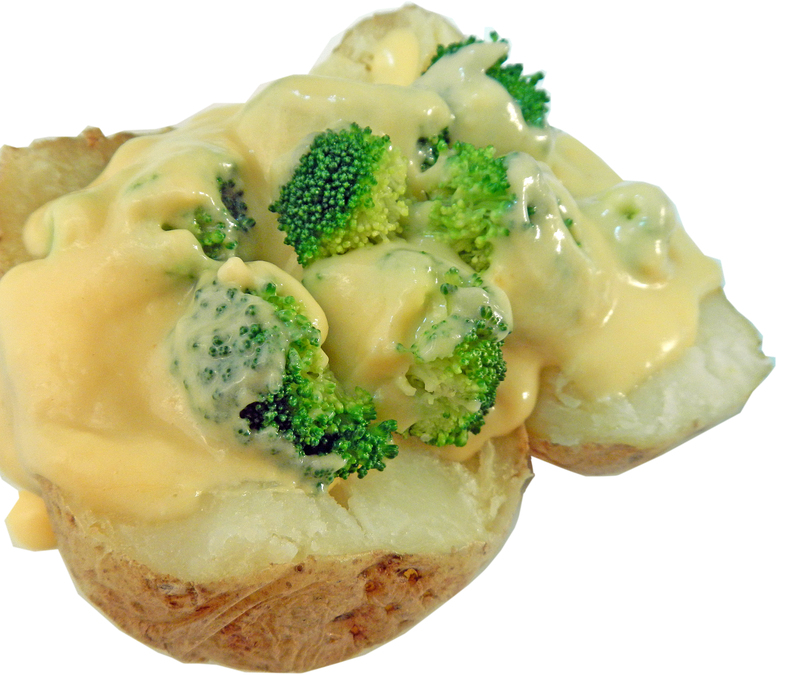 Distribute broccoli over the baked potatoes, top with the cheese sauce and serve. Whether you say PO-TAY-TO or PO-TAH-TO, potatoes taste great on your plate! This entry was posted in recipes and tagged baked potato, calorie, cook it quick, Food, Greek yogurt, healthy cooking, potato, quick foods, roasted potatoes. Bookmark the permalink. Thanks for the post. I’m trying to up my potassium. Everyone tells me to eat bananas, which is fine – but potatoes are an even better source of potassium. And the Greek yogurt also has potassium and calcium. A win-win.